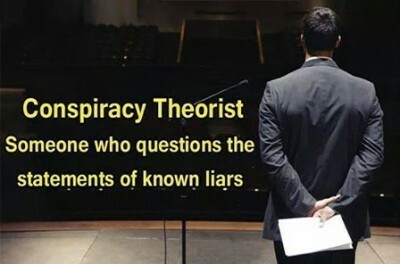 The University of Miami’s College of Arts and Sciences and Political Science Department held what was likely the world’s first official academic Conference on Conspiracy Theories from March 12th to 14th. The event was attended by 45 social scientists, historians and philosophers, including this author, who was initially uncertain whether he had been invited as a colleague or specimen. The estrangement and doubt toward the conspiratorial by many attendees was evident in some paper titles, such as, “Anti-Science Conspiracy Theories of the Right and Left,” “Telling the Truth About Believing the Lies,” and “Conspiracy Beliefs and Personal Beliefs: Exploring the Linkage between a Person’s Value System and his/her Conspiratorial Ideas.” One overarching assumption in the social scientific research was evident in three conspiracy bugaboos: “climate change denial,” “vaccination denial,” and questioning President Obama’s genealogy. Other sources of what certain academic vernaculars term “conspiracy ideation” or “conspiracy belief” included 9/11, the JFK assassination, and the crash of TWA 800. What made the conference especially exciting, however, was how many of the social scientists—when they were not involving themselves in weighty and often abstruse discussions over their studies’ methodological nuances—were fending off challenges by the handful of cultural historians and philosophers in attendance for failing to more closely consider the often compelling substance of the many conspiracy theories the former summarily labeled and took for granted as irrational. Yet the key note addresses of any conference are an acknowledgement of what is believed to be the cutting edge and future of the given field. Keeping in mind that the event was organized by political scientists who must dance between disciplinary and institutional raindrops of their field, the invitees were revealing, with two asking the proverbial “What should be done about the conspiracy theories?” question á la Cass Sunstein. One of the speakers, Brendan Nyhan, is an ambitious career progressive and political scientist of Ivy League pedigree. He is also a somewhat strident public ideologue well known for anti-conspiracism—a sort of youngish Chip Berlet or David Brock (sans the experience as right wing publicist) whose erudition makes him appealing to New York Times and Salon readerships. The academic’s approach is also painfully emblematic of the discomfort and trepidation with which American social scientists generally approach the study of conspiracy theory. Nyhan’s talk addressed the problem of public distrust that arises when lettered law enforcement and spy agencies release heavily redacted documents. Focusing on the 1996 crash of TWA flight 800, the speaker dismisses tout court all of the evidence and research suggesting that the aircraft might have been gunned down by the US military as a clear manifestation of conspiracy theory hucksters trying to make a buck from the profound tragedy. With so many other quantitative social science researchers in attendance, the ensuing discussion centered not on Nyhan’s rather disingenuous approach, but largely on how the presenter might tweak his method to better identify and measure public doubt over the release of such documents. This is, after all, the sort of information the FBI, CIA, and other government agencies could readily employ to anticipate and deter conspiracy ideation. Another keynote by Eric Oliver from University of Chicago, “Enchanted America: Magic, Metaphor, and Conspiracy Theories of US Public Opinion,” offered a profile of a 71-year-old woman Oliver interviewed who turned out to be against vaccination and a proponent of organic food. Ominously, however, she was also a fundamentalist Christian harboring a Manichean view of how state and geopolitical affairs play out. The observation provided the basis for presentation of an elaborate survey research project correlating personal anxiety in everyday life with the propensity to believe in specific political conspiracies or reject the supposed scientific status quo. Echoing Nyhan, Douglas referenced Sunstein’s well-known co-authored paper calling for the “cognitive infiltration” of conspiracy theorist communities. Yet Douglas was also challenged by philosophers waiting in the wings to re-examine some of her assumptions on conspiracy thought and what actions the state should take to discourage or reroute such thinking. The reader should not conclude from the above that the conference was a complete circling of the wagons by anti-conspiracy theory social scientists with plans to tax conspiracy theorizing or send would be conspiracy theorists to the gulag. After all, only policy makers and government edicts can do that. Yet such sentiment was also tempered by the event’s interdisciplinary makeup and humanities scholars who are far less bound to the government and foundation grants–or the New York Times–to propel their public image and ideas.